Citypilot is a virtual tour guide for the solo adventurer. 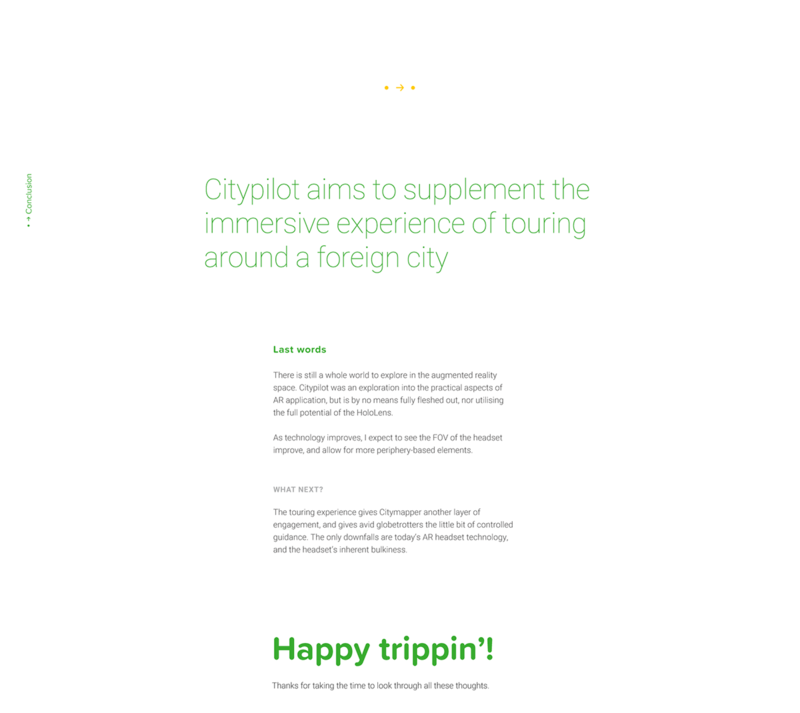 Conceptualised as an exercise in communication design of new technologies (augmented or virtual reality), Citypilot aims to supplement the immersive experience of touring around a foreign city through stills, animations, and mockups. (For NMDE-301: New Media Design Elements III, in conjunction with Helios Interactive) NB: Citypilot is in no way affiliated with Citymapper.